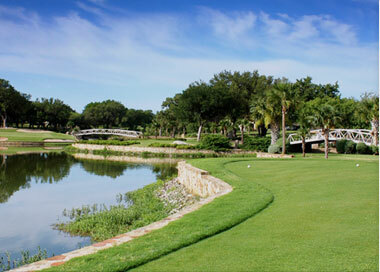 Our intriguing 18-hole, par 72 putting course was designed to play just like a competitive course, but in miniature. 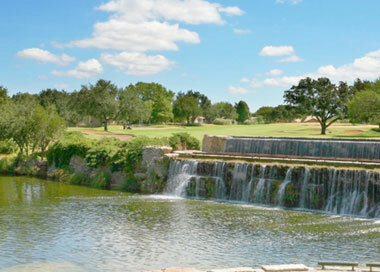 The dwarf Bermuda grass putting course offers a scenic landscape of waterfalls, rose gardens, exotic birds and a trail. 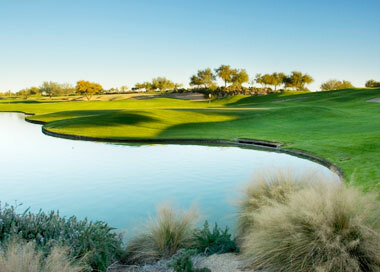 Golfers use their putters to play through fairways with challenging bunkers and water hazards and putting surfaces. 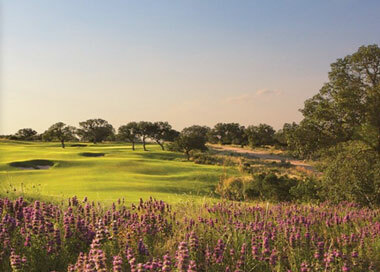 Adjacent to the hotel, this day-and-night-use golf facility invites players of all skill levels to experience a fun golf vacation at our the Texas Hill Country resort on Lake LBJ. Designed like a regulation 18-hole golf course with fairways, bunkers, water hazards and the finest of putting surfaces, each shot is played with a putter. Play a round surrounded by lush landscaping, relax on the inviting patio and meet up with resident wildlife, including exotic birds, our African Spurred Tortoises and Mingo the Flamingo. It's 18 holes of pure fun! Hit the links day or night at our unique miniature golf course. 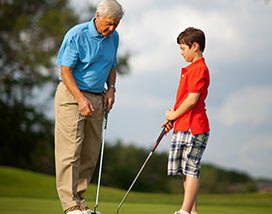 Whether beginner to expert, you'll enjoy a round at Whitewater. Opened in 1972, this unforgettable course features forgivable fairways, inspiring scenery and the awe-inspiring "Million Dollar Hole." A Golfweek Top 100 Resort Course, our most exclusive layout features dramatic elevation changes over a scenic Golden Bear design. Rolling Bentgrass greens, deep bunkers, challenging water hazards, and don't miss the island green on the par-3 4th hole.